Sitting around last night my decision was to go for a walk or open a bottle of wine and write a blog. Guess I chose the healthier option because here's my blog! 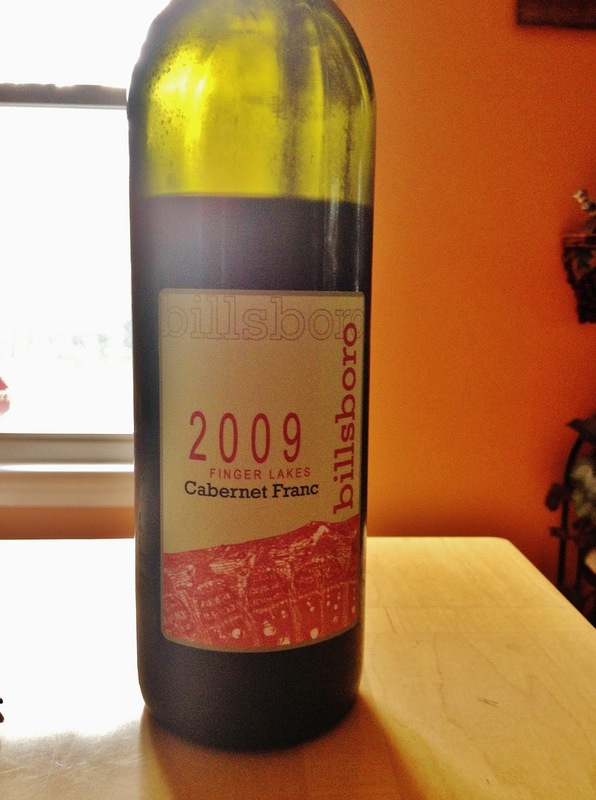 When I pulled the 2009 Billsboro Cabernet Franc from my wine fridge it gave me the idea to write about cabernet franc in Italy. I wanted to share more about this grape and where it's mostly found and some of the characteristics compared to other countries. First, I do want to discuss this particular wine though from Billsboro winery in Geneva, NY. In the Finger Lakes it's one of the prominent grapes producers are using to make red wine and is often primarily as a 100% cabernet franc wine rather than being blended with other grapes. I enjoy this wine at select wineries throughout this area and this cabernet franc didn't disappoint, hence why I always pick up some bottles from my favorite wineries. For a 2009 it still had good acidity to it and was on the drier side, but had some blackberry and raspberry on the palate. 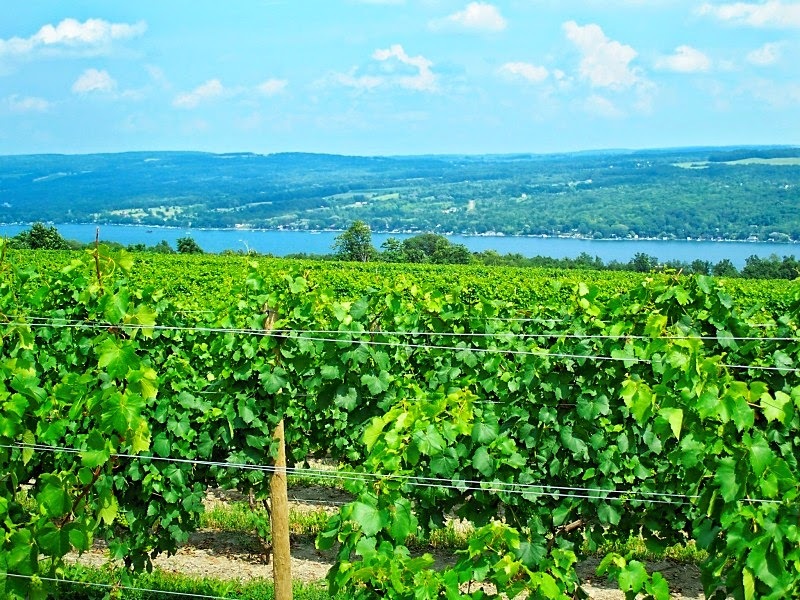 If you're more curious about the wines from the Finger Lakes I make an annual trip there and you can view some of my information about the region and the lakes from my last visit (Seneca Lake, Keuka Lake, more Seneca Lake wineries). Many know cabernet franc as being one of the grapes in the wines of Bordeaux, France or also the wines of the Loire in France. Being an Italian wine blog though I wanted to share with you where this grape is prevalent in Italy. This grape has been produced in Italy since back in the early 1800's. Cabernet Franc grows best in cool climates and is probably the reason why this grape is mostly found in the Tre Venezie of northeastern Italy (Friuli-Venezia Giulia, Veneto and Trentino-Alto Adige). Out of the three regions it is mostly grown in the Friuli-Venezia Giulia. You can also find cabernet franc grown throughout other regions in Italy including Lazio, Lombardy, Emilia-Romagna and Tuscany. In Tuscany it's blended with other grapes to form some of the most famous super tuscans of all time, such as Ornellaia and Sassicaia. In Italy you will find cabernet sauvignon or cabernet franc labeled just as cabernet. It's a blend or a cross between the two, but most of the time the wine is primarily made up of cabernet franc. One of the more confusing things about Italian grapes is that they are known as different names in different regions making it more of a challenge to understand, for example, cabernet franc in Veneto is known as bordo. Typically cabernet franc is known for being lower in acidity and tannin and showing profiles of blackberry, raspberry, earthy tones. It can also have more vegetal characteristics like bell pepper. In Italy you may find more herbaceous notes to the wines. I will be sure to share cabernet franc wines of these regions discussed so we can compare and contrast. Have you had any from any of these regions that you enjoy?